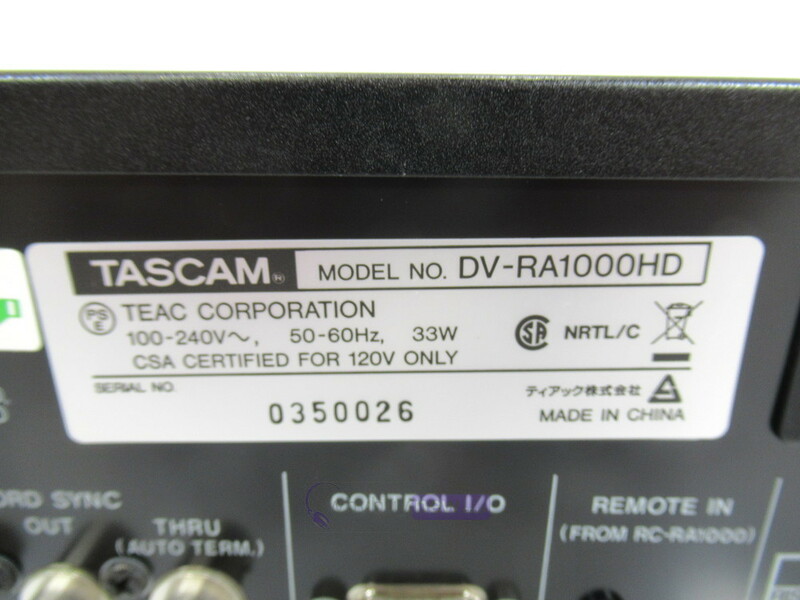 This Tascam DV-RA1000HD High Definition Master Recorder has come to us via a part exchange and comes with a 3 month warranty. The item is in good cosmetic condition with a fairly small dent on the top left front. 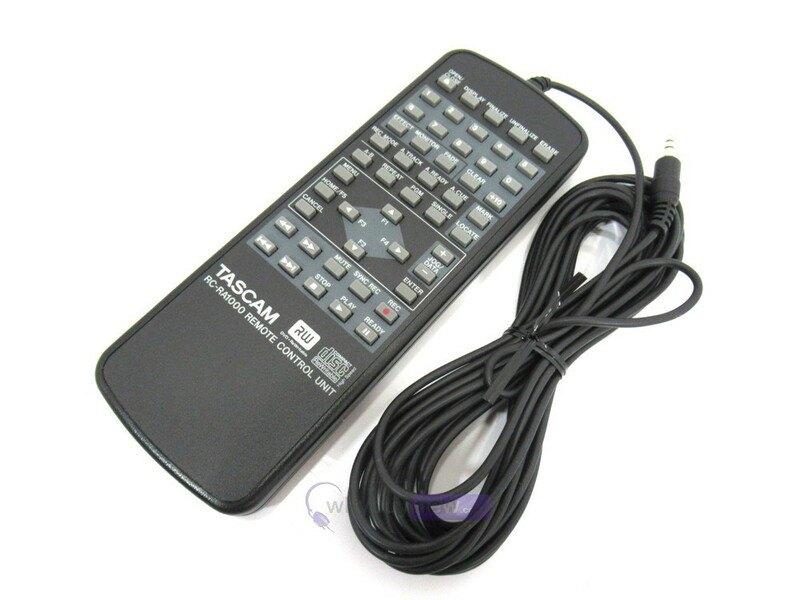 It comes with the PSU, remote and the manual. 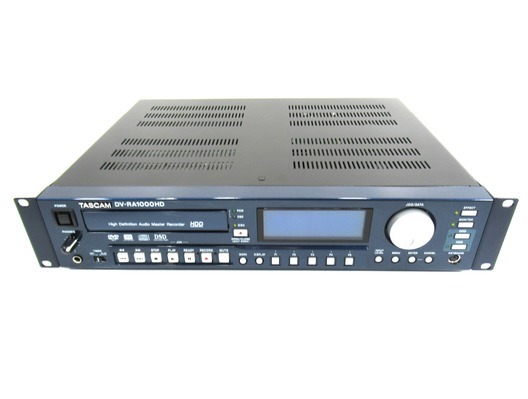 This Tascam DV-RA1000HD High Definition Master Recorder does not include original packaging but has been professionally packaged to ensure safe delivery to your door. TASCAM's DV-RA1000 introduces DSD recording - the audiophile standard of Sony's Super Audio CD - to every studio for a professional, affordable DVD recording solution. It records as standard CD audio or to DVD+RWs at up to 192kHz/24-bit resolution, as well the DSD format, establishing the DV-RA1000 as the new standard for studio mixdown recorders. The DV-RA1000 offers you recording and playback options for a number of professional applications. For Master Recording, you can record your final mix at the best possible digital resolution for CD or SACD. For Live Recording connect the DV-RA1000 to a top-quality mixer or mic preamp for stunning classical recordings. 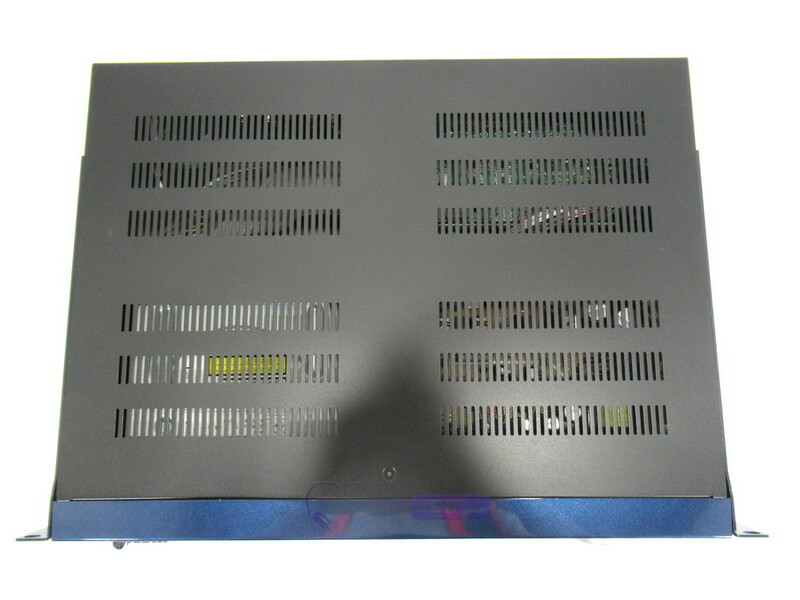 In and Installed Sound environment, put a DV-RA1000 in any system where you would specify a professional CD recorder. And for Mastering, transfer analog masters to DSD or 192kHz for remastering to SACD or DVD-Audio. You'll find all the I/O options you need built into the DV-RA1000. Included are (2) XLR Balanced Line Inputs, (2) XLR Balanced Line Outputs, (2) RCA Line Inputs, (2) RCA Line Outputs, 1/4" TRS Headphone Output and a USB 2.0 jack for computer audio transfer. 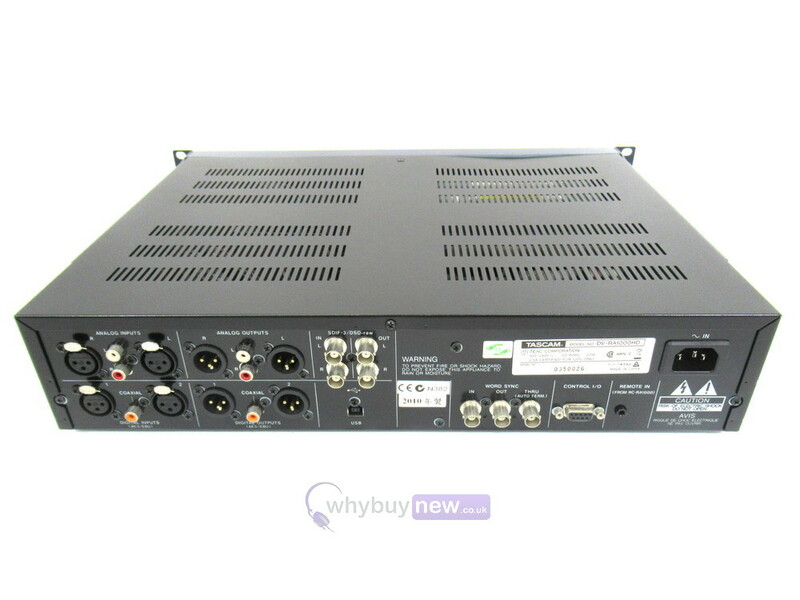 In addition, the DV-RA1000 provides digital I/O in the form of (2) AES/EBU Digital Inputs, (2) AES/EBU Digital Outputs, Coaxial S/PDIF Input, Coaxial S/PDIF Output, (2) BNC SDIF-3 DSD Inputs and (2) BNC SDIF-3 DSD Outputs. With sync I/O providing BNC Word Clock In, Out and Thru, RS-232 9-pin Control Input and Remote Input from the RC-RA1000 remote control, the DV-RA1000 gives you everything you need for studio, mobile or installed use! The DV-RA1000 offers a wide variety of record and playback modes to suit your audio needs. A power-on play feature starts music immediately upon powering up. Auto track increment, auto cue, auto ready, single/continuous play and program A/B playback are also included.